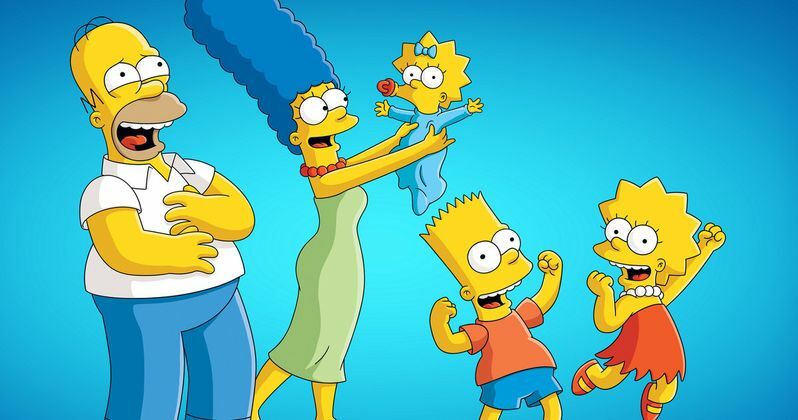 The Simpsons has found its exclusive streaming home on Disney+, Disney's new streaming service which will launch on November 12 at just $6.99 a month. Disney held a big Investor Day event with tons of new info. The entire presentation was capped off with a special clip from Fox's hit animated sitcom. The scene in question showed the entire Simpsons gang all saluting their new Disney 'corporate overlords'. Which was a joke, but still pretty on the nose. This lead to the announcement that Disney+, which is being billed as Disney's premiere direct-to-consumer platform, will be the exclusive SVOD home for the long-running 20th Century Fox produced series. There was no mention of whether or not The Simpsons movie would also be available for streaming, but one would have to imagine so. There are also a number of Simpsons shorts, both theatrical and from The Tracey Ullman show in the archives. The Simpsons was recently renewed for a record breaking season 31 and season 32. The show has held a groundbreaking exclusive deal with FX Networks, which previously included all digital rights for the new FX platform which is estimated to have cost $100 million. This new Disney+ agreement is expected to impact the FX deal with The Simpsons. Disney touted The Simpsons as their marquee get from their newly acquired Fox lineup that was announced today. The initial announcement was front loaded with Disney properties, but The Simpsons officially became a part of the brand after Disney paid $71.3 billion for all Fox assets. While a bit on the raunchy side, The Simpsons does fall into their family friendly push for the streaming platform. This can't be said for Family Guy, which wasn't announced as part of Disney+. It is expected that Family Guy will stay in place at Hulu, its current streaming home. Hulu is also controlled by Disney, so it all makes sense. Further revealing what was shown in the big announcement clip, Deadline reports that a photo of Rupert Murdoch is spotted in a garbage bin. There is a state of Bob Iger. Homer is gleefully wearing his mouse ears, as he forces the rest of the family to follow suite. They do so begrudgingly. It all ends with Maggie as Springfield's very own Tinker Bell. She sprinkles some magic dust. And it's at that moment we get the reveal that Disney+ will officially launch on November 12 for the cost of $6.99 a month. It's expected that a lot of families will partake in the cheap price over the holiday giving the new streaming service a test run. It isn't known if there will be any kind of free or discounted trial incentive.